Improve clipboard performance in editable data page processing by using the high-throughput mode option. Access this option in Dev Studio on the Definition tab of the data page rule form. Serialization/deserialization – Page structure and contents can be stored on disk or in a database; then later restored into memory. 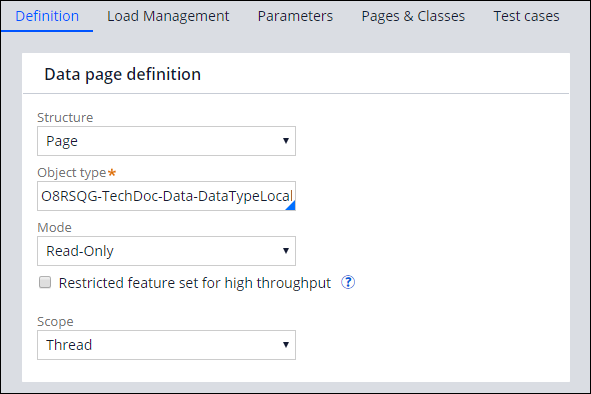 For more information about configuring data pages, see Data page rules - Using the Definition tab.